I found a cool video of the Super Stock final from the Mile-High Nationals earlier this summer. 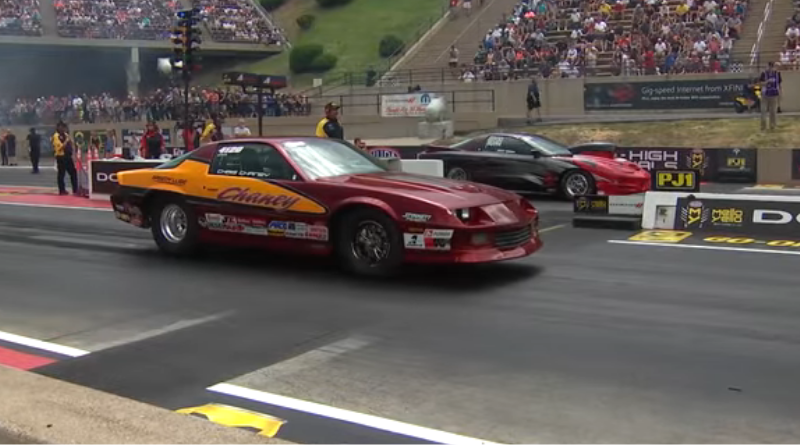 Chris Chaney takes his beautiful wheel-standing 3rd generation Camaro to the winners circle. Chaney was super-hot from June through August raking up wins and making several final round appearances. DragChamp did a nice article on his Mile-High victory, you can read it here. Chaney has a shot at winning the national championship if he performs well this weekend at the Division 5 double-header LODRS at Great Bend, Kansas. You can read more about the national points chase here. Visit DragChamp.com for all your NHRA sportsman drag racing news online. We are your source for NHRA drag race results.